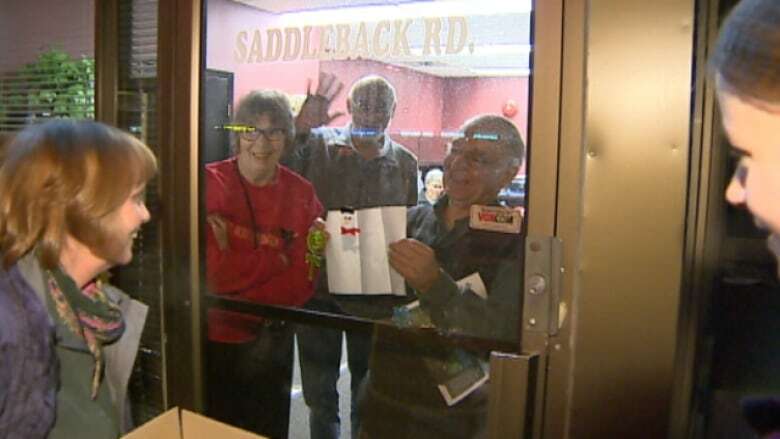 A group of seniors was prepared to stay overnight at the Edmonton constituency office of Health Minister Fred Horne. However late last night, the seven seniors left after the minister's chief of staff called police, said Bill Moore Kilgannon, with Public Interest Alberta. About two dozen seniors entered the office on Thursday demanding a meeting with Horne and Premier Alison Redford over a plan to change Pharmacare coverage. The group was asked to leave when the office closed at 4:30 but seven of them decided to stay. They are angry over the government’s plan to eliminate universal drug coverage for seniors and replace it with an income-based plan. “That to me is a form of surtax on people because they’re sick,” said Noel Somerville, chairperson of the seniors task force for Public Interest Alberta. Horne’s press secretary Matthew Grant says the minister has offered up several dates in February for a meeting. But Somerville says Redford also needs to be there because she made promises to keep universal drug coverage in order to win the PC party leadership in 2011. The group has coffee, donuts and sleeping bags. A woman brought sandwiches but she was turned away. "I left to bring them some supper and now when I get here I find out they're not opening the door and allowing any food to come in," Jennifer Harbin said. "To me, that's not very good."